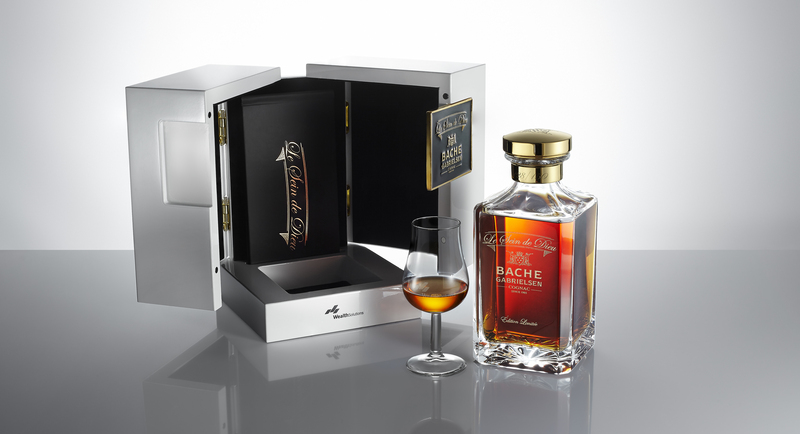 On 18 September 2015 the Bache-Gabrielsen cognac house introduced, in cooperation with Wealth Solutions, a limited edition of the Le Sein de Dieu cognac. 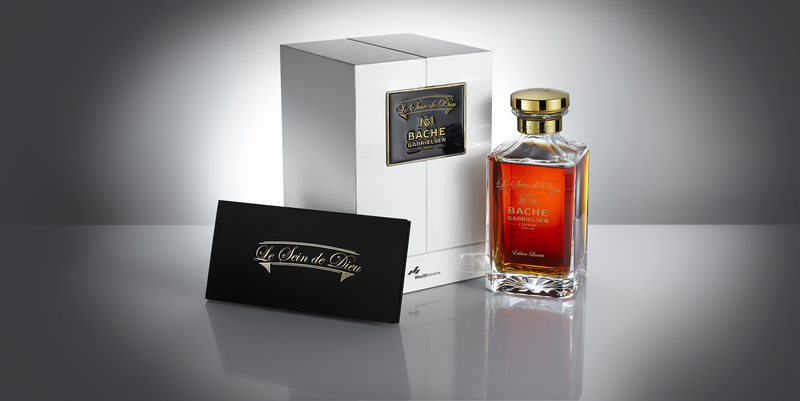 The liquor was made with the use of distillates produced at the turn of the 18th and 19th centuries, originating from the paradis (treasury) of Thomas Bache-Gabrielsen, the founder of the Bache-Gabrielsen cognac house. 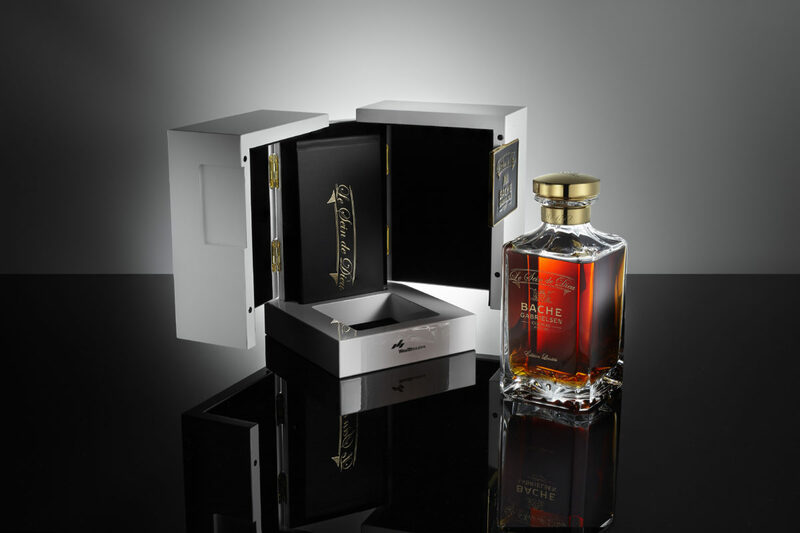 On 18 September 2015 the Bache-Gabrielsen cognac house introduced, in cooperation with Wealth Solutions, a limited edition of the Le Sein de Dieu cognac. 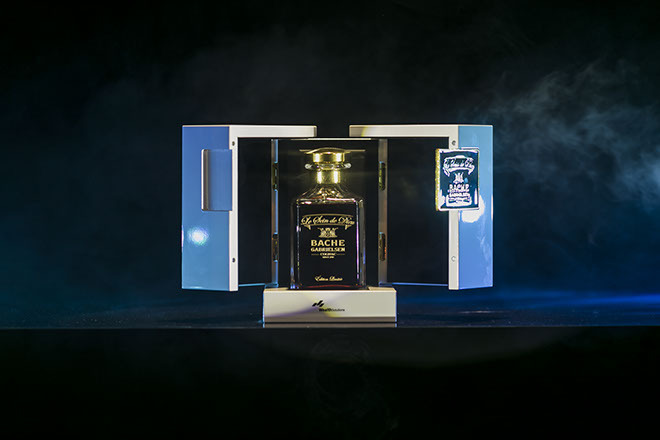 The liquor was made with the use of distillates produced at the turn of the 18th and 19th centuries, originating from the paradis (treasury) of Thomas Bache-Gabrielsen, the founder of the Bache-Gabrielsen cognac house. The cognac was created entirely prior to the European vineyards being attacked by phylloxera, and its oldest component was distilled back in 1790, i.e. 225 years ago. Only 150 decanters were offered for sale. Le Sein de Dieu is a cognac that could not be replicated in the present times, as phylloxera significantly impacted the overall form and quality of the beverage. 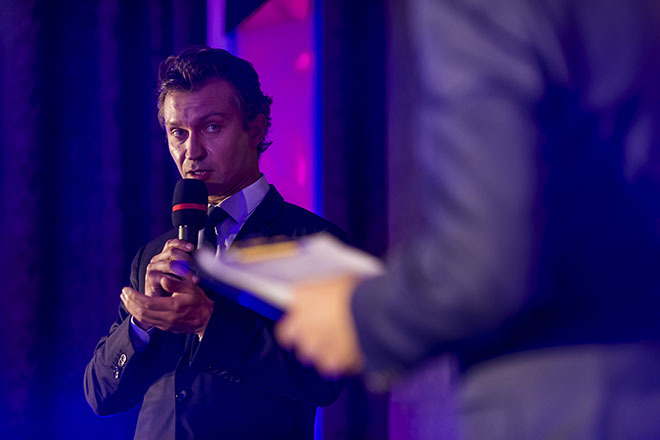 It was Jean-Philippe Bergier, cellar master of the Bache-Gabrielsen cognac house, that embarked on the mission to combine such old and unique distillates. 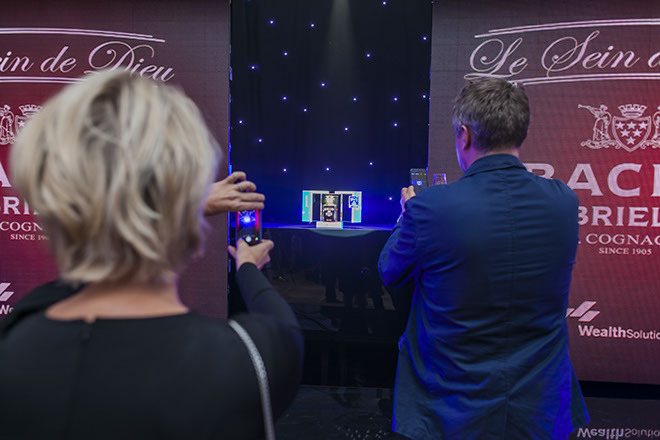 Each Le Sein de Dieu decanter is numbered and comes in a wooden case made specifically for the needs of this limited edition. It also accompanied by a book by Martine Nouet, a writer and a connoisseur of whiskey and cognac. The publication presents information about the project, history of cognac, Bache-Gabrielsen cognac house and the author’s tasting note. 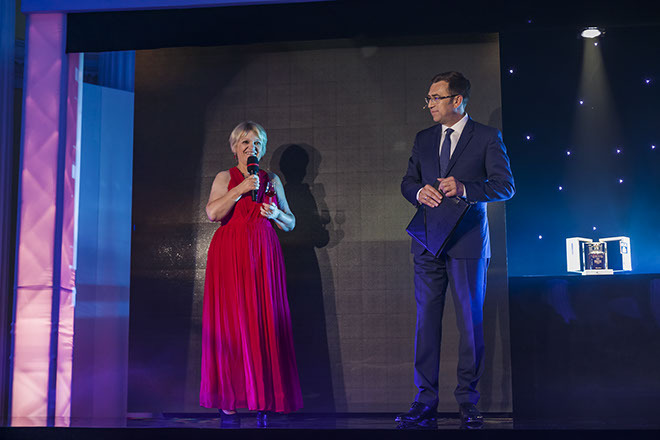 The world premiere of Le Sein de Dieu was held at the Primate’s Palace in Warsaw. *Phylloxera is an American aphid species that was brought to Europe around 1860 and started to devastate local grapevine cultures. The story begins in early 20th century, when a young Norwegian second lieutenant arrived in Cognac. The Scandinavian traveller’s name was Thomas Bache-Gabrielsen. The officer decided to settle in the region permanently, and acting together with his friend he purchased, in 1903, the Dupuy cognac house – an establishment that had been in operation since 1852. That is how one of the icons of the world of cognac was born. Presently, Bache-Gabrielsen is one of a he few family-owned and run cognac houses. It is Hervé – Thomas’ grandson, representing the fourth generation of the Bache-Gabrielsens in Cognac – who runs the enterprise. Although two centuries have passed since, the quality of liquors produced there has not changed. It is thanks to that remarkable level of quality that the company has become one of the world’s largest cognac exporters. Every year, it produces 1.5 million of bottles that are sold to 36 countries on 6 continents. The year that construction of the White House began in Washington, and Mozart staged the Cosi fan tutte opera for the first time, was also the year a truly unique beverage was born in the French region of Cognac. The end of the 18th century was nearing. France was battered by the revolutionary upheaval, the territory of present Germany was occupied by a cluster of small, independent states, Poland was falling into the abyss of partitions, and the United States was only laying the foundations for its democratic structures. It is the truly exceptional cognac – Le Sein de Dieu – that takes us back to this very distant world. Le Sein de Dieu is a link that connects us with the world long gone for other reasons as well. It offers us the opportunity to indulge in a drink that no one is capable of creating these days. The distillates it is made of were produced prior to the phylloxera invasion that devastated European wine cultures in the middle of the 19th century. 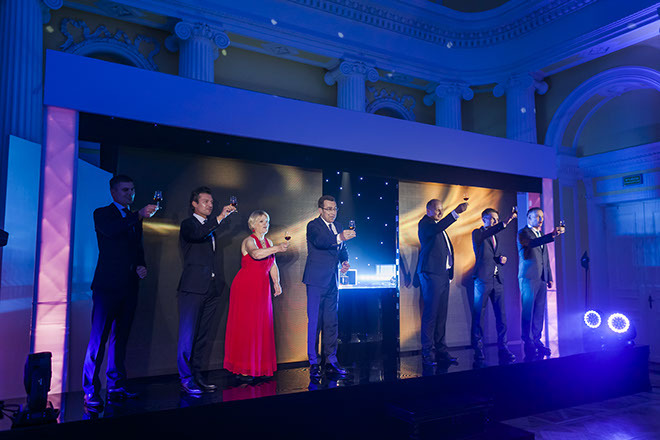 The event exerted a considerable impact on the final form and quality of beverages made, as it has resulted in a change of the strain of grapes used for producing cognac. Hence, the history of this beverage is divided into two periods: before and after the grape phylloxera. “This unique and truly exceptional blend is the outcome of a marriage between the best eaux-de-vie from the Grande Champagne region, stored at the Paradis de Bache-Gabrielsen. I selected eaux-de-vie dating back to the early 19th century, attaching great importance to their character, and spiced them up with the variety originating from 1790. My intention was to find the right balance between what is valued in their bouquets, i.e. their subtly spicy tannic flavour on the one hand, and what makes up their flowery composition and unmatched finish on the other. The blend that was created thanks to the unique collection of distillates maturing in the shadows of our cellar has proved to be a true phenomenon. Its uniqueness boils down to the expression of aromas and tastes that are not to be found anywhere else today, as vines are no longer grown in the manner they used to be 200 years ago. Nose: sandal tree (spicy, oriental, sweet aroma), gingerbread, leather, box of Santo Domingo cigars. Mouth: flowery power, lime, sweetness of candied prunes, complex coffee notes, strong tannins.